These "gentle giants" have mellow dispositions and are extremely intelligent. They are friendly and easy-going, but will also serve as loyal defenders. Shilohs are an American rare breed. They are descended primarily from the German Shepherd Dog, with a little Malamute thrown in for good measure. They have a great temperament and are larger than German Shepherds. Their coats can be either plush or smooth. Whether Shilohs are "Show" or "Pet" quality, they're all winners! Raider seems to steal every show he enters! The "Raid" in "Raid the Wind Kennels" is in honor of this magnificant Shiloh. 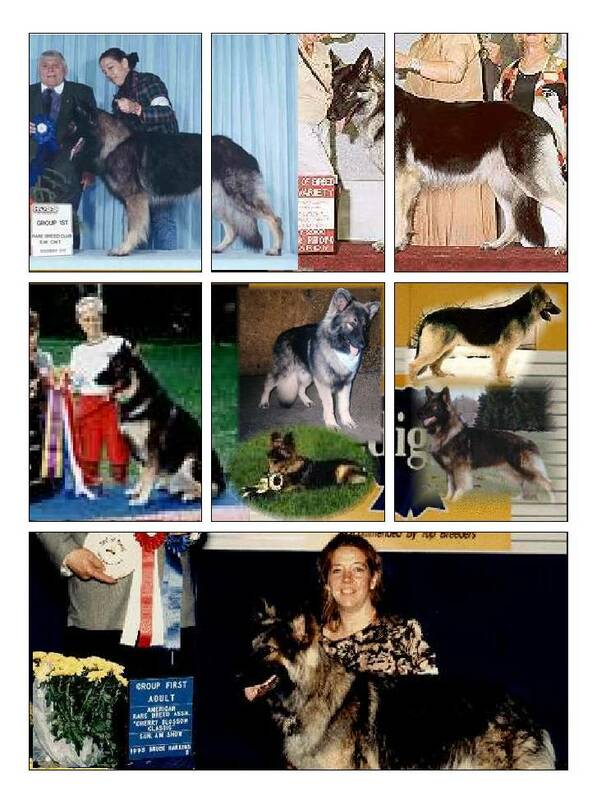 Raider is the son of the legendary "Trinka" (Windsong's Katrinka D'Shiloh) and "Shep" (Bionic Black Smoke of Zion), the highest female and male ROMs in the history of the breed. Bita, a real beauty, is a champion in her own right. She is the daughter of "Gypsy" (Windsong's Gypsy Dancer of Zion) and "London" (London Shoen Hirn von Zion). London is one of the biggest Shilohs ever at 140 lbs, and Gypsy has the best PennHIP rating of any Shiloh ever.